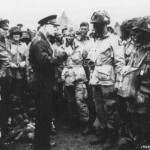 Under General Eisenhower’s command and that of British General Bernard Montgomery, Allied troops landed on five beaches, code named Omaha, Gold, Juno, Sword, and Utah. On June 5, before the massive amphibious landings, 23,000 US and British paratroopers landed by parachute and glider behind the German defensive lines in France. In the invasion force were more than 155,000 troops, 50,000 vehicles (including 1,000 tanks), nearly 7,000 naval craft and more than 11,500 aircraft which together supported the invasion. These statistics were ultimately joined to those that tallied the incredible human losses of that day. Eventually, they opened onto the many stories that will forever fuel the legacy of D-Day. Today, globally, there are new film festivals screening reruns of war films. It feels to some, like a spin off industry, all its own. Canadian radio’s Sunday Magazine, hosted by Michael Enright had an intersting 4 minute essay on the nature of the seeming “celebrations” launching round the world and why Eisenhower and his family chose to avoid all anniversary ceremonial situations. 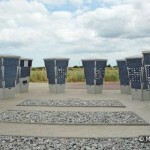 For our part on this site, it happened that we were ready to launch and we did so quietly amidst the commemorations of the devastation and the heroism of D-Day’s warriors, two years ago. In 2012 we carried a post on D-Day’s presence in film and books. On that 1st instance of publishing ever, our aim was to cover and support the transformations that must come for current living soldiers to move well from military to civilian life. And yet, perhaps in opening on such a momentous historic date, we both honor and support our nations’ warriors of today and also remember and respect the ones who fell in sacrifice before. Stories in our modest archives include a first person account of family life after D-Day. It is Carol Vento Schultz’s homage to her father, Dutch Schultz in her book, Hidden Legacy of War. In 2013, our post carried a message from Military Minds, a Canadian organization of veterans helping each other through life after service and the critical challenges stemming from active duty experience. Today we share, with permission, the touching and personal post of Bradley J. Curran, the Canadian son of a veteran. William Curran saw Normandy as a soldier and then returned in 1984 for an incredible moment back on that infamous beach. Bradley is a designer operating a business in my hometown of Winnipeg and shared this insight will all lucky enough to know him on his personal social media page. 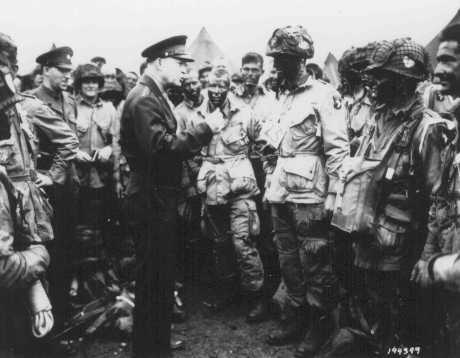 Here is his post, in his own words…..
Seventy years ago this Friday, (Tuesday 06 June 1944). Courselles-sur-Mer, Normandy, France. Code Name: JUNO Beach. Operation Neptune (landing phase of Operation Overlord). My father William (1924-2003) was in one of these landing craft, seasick and terrified after a rough overnight crossing from southeast coast of England. Only the night before did the troops learn the reason for their many months of secretive training. Bill was not yet 20 when he landed on that beach, and he told me in his later years, “I grew up in one hell of a hurry that day.” Only when I saw “Saving Private Ryan” (1998) did the sheer horror of it all finally, truly hit me. Dad made three trips to France, in 1984, 1989, 1994, for key anniversaries. 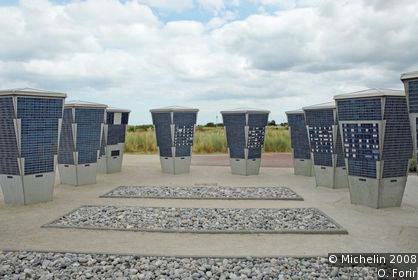 He lived long enough to know that Juno Beach Centre was inaugurated on the 2003 D-Day anniversary. A metal brick bearing my father’s name and dates (1942/10/02 – 1946/02/07) sits on Kiosk K12 at the Juno Beach Centre. He is remembered. One day, I plan to make my own trip there, to this now tranquil beach. Bradley responded to a comment about the carnage the men witnessed on that day, on his interactive conversation thread…. And this is why this site continues into its 3rd year… to do its part. To give voices to warrior men and women of conflict zones still living and adjusting to life anew with their families, in communities, at schools and in various workplaces. “No true Soldier celebrates war but a Society should honor the sacrifice and recognize the true cost to all sides.” …the understanding of Team MilSuccessNet’s co-founders – the ones with first hand military experience. Banner photo created by MilSuccessNet team member, Nate Brookshire, from elements found in the Daily Mail, UK article on “the Paras” . They recreated their Normandy jump on D-Day, June 6, 1944 on Sword Beach. Eric Buckley, from Leicester, is the veteran depicted at the centre of the collage.